Randy has driven both team wagons and single carriages in Victoria for 22 years. He has worked with and started over 65 draft horses downtown – more than anyone else in our local industry! As our “been there, done that” guy, Randy has been Tally-Ho’s media spokesperson, a ticket-seller, new-driver trainer and he managed the downtown operations from 2007 to 2012. 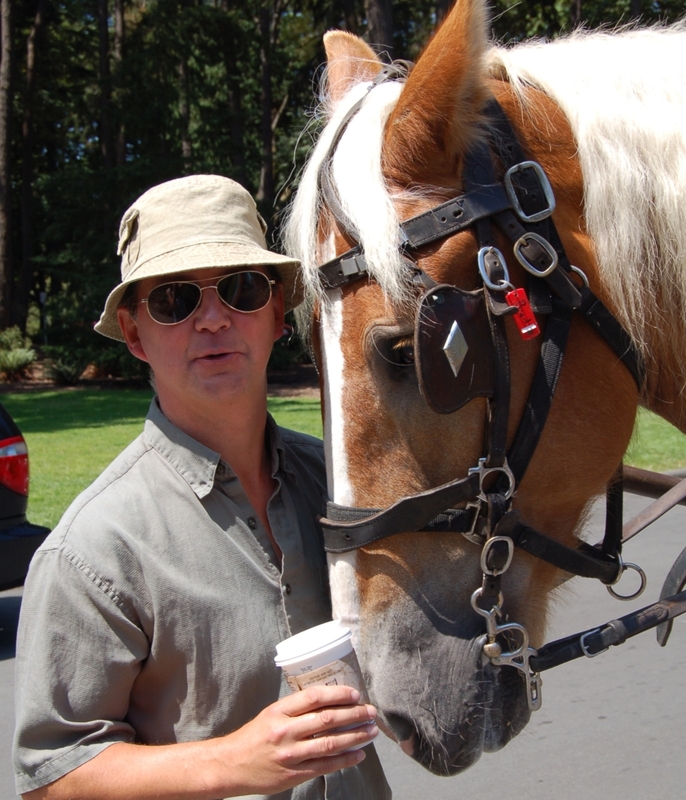 His wealth of knowledge about horses and our beautiful city has earned him rave reviews from our guests. His favorite horse is “Bud” (who he started 2002); they have formed a special bond and seem to be soul-mates. Long-term, Randy hopes to retire with Bud and “ride into the sunset” together. Randy is a talented musician/singer and has quite the fan club in Victoria!